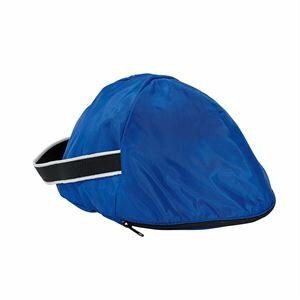 Dover Fleece-Lined Helmet Bag - Navy/white/light Blue:Dover's Fleece-Lined Helmet Bag keeps your helmet dry, clean and free of scratches between uses and during travel. Sized to fit ASTM/SEI certified helmets, it's made of water-repellent, 400 denier nylon with a sturdy carrying strap. A wide opening with a heavy-duty zipper makes filling easy. Measures approximately 13"L x 11"W x 9 1/2"H; 21 1/2" strap.Imported. About Dover Saddlery: Dover Saddlery only offers quality products that they would use on their own horses, so you can have complete confidence in your every purchase. The Dover tradition that began in 1975 continues today - using their understanding of horses and the sport to better serve the equestrian customer. If you have any questions about this product by B075X1L61P, contact us by completing and submitting the form below. If you are looking for a specif part number, please include it with your message.